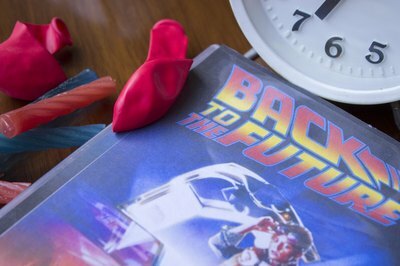 Are you a huge fan of Marty McFly, Doc Brown and everything else "Back to the Future"? Then throw a "Back to the Future" theme party. One of the most popular sci-fi movies of the 1980s, "Back to the Future" features silliness and fun galore, set in both the '80s and '50s. Think retro. In your invitation, tell guests to pick one character and dress accordingly. For the 1980s, find some parachute pants, off-the-shoulder sweatshirts, and neon tees. Acid-wash jeans and leg warmers work as well. Or look for a replica of Marty's orange quilted vest. For the 50s, go for bobby-socks, saddle shoes and poodle skirts. Men can wear rolled-up jeans and bowling shirts. 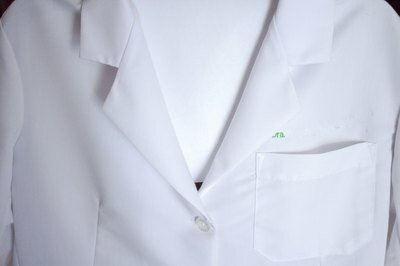 Or just throw on a white lab coat and a headlamp and go as Doc Brown. Play the movie on the TV, or play your favorite '50s and '80s music, putting Huey Lewis and the News at the top of the list. Cut out cardboard clocks and decorate your walls to replicate Doc Brown's lab. If you're feeling artistic, make a faux Delorean out of cardboard wardrobe boxes, or draw one and tape it to the wall. 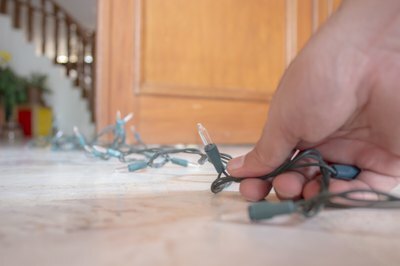 Using two strings of white Christmas lights, re-create the Delorean's "runway" leading up to your front door. For an authentic touch, look on other online vendors for movie posters and character stands. Replicate the dishes used in the movie. 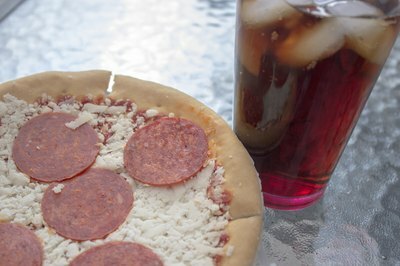 Marty in the '80s loved pizza and Diet Pepsi, while in the '50s, he drank Tab. Meatloaf and mashed potatoes comprised his coming-home dinner, so consider making mini-loaves for each guest. Buy malt powder and whip up shakes and malts to replicate those in the 50s. Use vodka to create alcoholic beverages in honor of Marty's mother. For dessert, craft your own get-out-of-jail cake, just like they did in the movie for Marty's uncle, Jailbird Joey. Entertainment could include a trivia game based on facts from the movies.